﻿ Still Looking for a Summer Vacation Destination? Check out St Simons Vacation Homes! The beginning of summer is almost upon us, and you hear your friends and co-workers talking about their vacation plans. You’ve been dragging your feet, trying to find the best option for your family. Yes, Myrtle Beach and the Outer Banks are beautiful, but they are also commercialized and overrun with tourists. Looking for a beach location that has a little more historical and small-town charm? Consider looking into real estate on St Simons. A Â rental property or St Simons vacation home on the island may be just what you’re looking for. Just off the coast of Georgia, St. Simon’s is famous for it’s scenery. In addition to wonderful beaches and ocean views, visitors enjoy the charming feature of moss hanging from the old oak trees. Explore the lighthouse, or visit Christ Church, built in 1820. Bike paths or walking trails will take you to see the sights all over the island. You may think that you’ll be giving up opportunities for checking out great restaurants and shopping experiences if you vacation on a small island. Whether you’re looking for antiques, clothing, jewelry or accessories, the island has it’s own collection of unique shops that will take care of your shopping fix. And you’ll find a wide selection of restaurants too. Whether you have a taste for pizza and burgers, or sushi and steak, everything you need is right on the island. Don’t think for a second that the slow pace of the island means it will be boring. Visit the Neptune Park Fun Zone to play a round of mini golf or hang out in their large pool. Get pampered in one of the spas, or visit one of the parks for an afternoon picnic. There is plenty to keep you busy if that’s what you enjoy, but lots of opportunity for relaxing too. 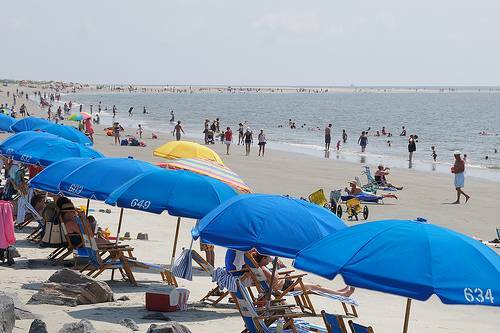 If you’re looking for a vacation rental or a permanent St Simons vacation home, contact us.